Sly’s has closed as of September 23, 2018. See below. Great food, great cocktails, and great times at the last great little beach town on the Central Coast. An anniversary, and the end of an era. August 8, 2018, was Sly’s 10th anniversary. It’s been a wonderful ten years, but Annie and I decided that we were ready to retire. Our building has been sold, and the new owner tells us he is going to put in his own concept. 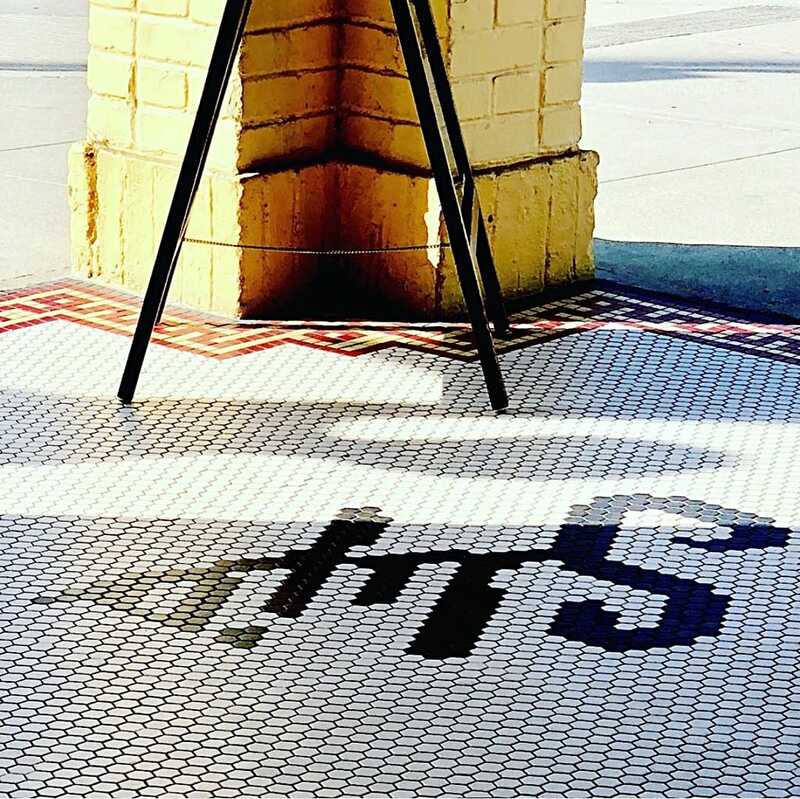 Sly’s Carpinteria — It’s a personal thing. August 8, 2017, marked our 9th Anniversary at Sly’s. We celebrated again with our traditional gift of ripe Beylik Farms tomatoes for each of our Sly’s customers — the same ripe wonderful tomatoes we serve all year at Sly’s. Last year we gave out more than 140 pounds of those gorgeous tomatoes! 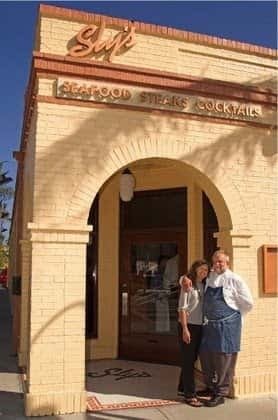 We started 2008 by cleaning, remodeling, and making 686 Linden ready for fine dining with Chef James Sly and staff. 2009 was a busy year as we worked to make all of our new customers happy. Already, diners seem to have chosen favorites — a crowd shows for Monday’s Blue Plate Special — Meat Loaf and Mashed Potatoes, but Sunday’s Chicken Pot Pie seems equally popular. 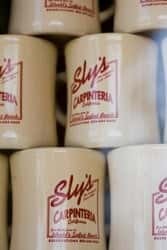 Here’re all of our Blue Plate Specials at Sly’s. Fall, winter, spring or summer, we’ve got some terrific vegetable selections at Sly’s. There’s always lots going on with fresh vegetables from the Santa Barbara Farmer’s Market. “Mama’s” beautiful Brussels sprouts are still a ways away. We know that Harry’s Berries will have some of those incredible thin French green beans this fall, though perhaps not for too much longer. 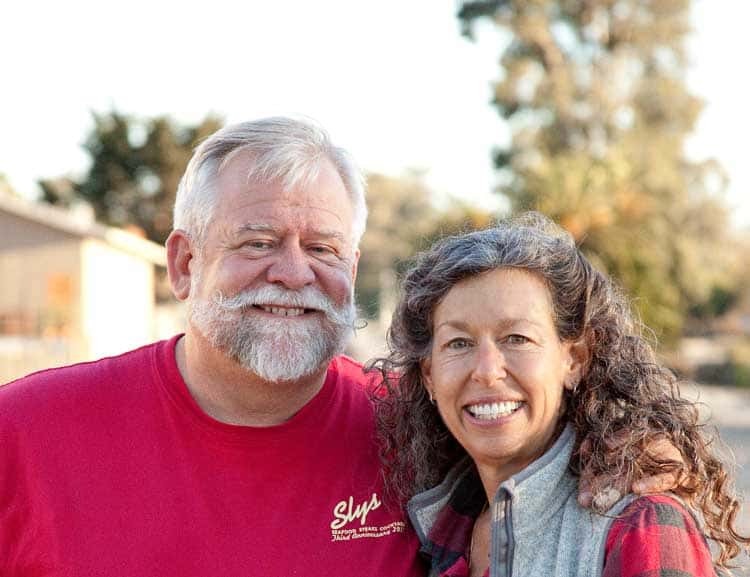 Just so you know, Sly’s is “Farm Friendly Dining” certified with the Santa Barbara Farmer’s Market. At the Farmer’s Market, there’s only one Harry’s Berries — and if you get there late, they’re sold out. We order ahead for incredible strawberries and that tiny French green beans. James likes to say he features “tired old favorites” and the pastas he offers are pretty much in that category: Spaghettini Carbonara with smokey bacon, onions, cream and eggs, received a good writeup and a nice photo featured in a review from Michael Cervin at the Santa Barbara News Press. 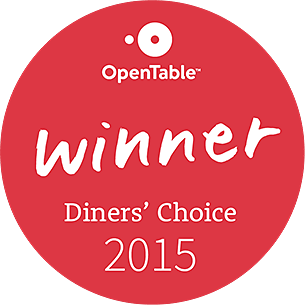 (We’re pleased to say we received 4 stars) The spicy Calamari in red sauce, inspired by James’ friend Andy Granatelli, vies for popularity with the Spaghettini Caruso with chicken livers in Marsala. Finally, one of the most striking things about the decor at Sly’s is the collection of photographer Jesse Alexander’s photos on display. This artists eye and lens captured the European racing and car show scenes in the 50s and 60s. More than thirty of Jesse’s images fill the walls of the dining rooms at Sly’s. The Monaco Room features images of Monaco from Jesse’s most recently published book. Sly’s Mugs, Sly’s black baseball caps, Sly’s logo water, pint & pilsner glasses Sly’s Shot Glasses and Sly’s logo T-shirts (in black & white) are available at the restaurant! How’re things at the world’s safest beach?